The Forum is an annual event that recognizes outstanding compliance performance in health care organizations. 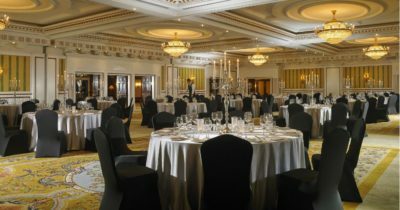 It also brings together health care compliance professionals and senior executives with heads of key government agencies and important industry groups and associations. Health care organizations can nominate parts of their compliance, ethics or integrity program for recognition as a best practice at the Forum. 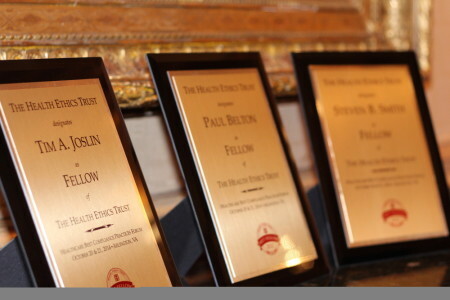 Over the course of this annual two-day event, each Best Practice Award Winner, as selected by the Trust’s Best Practices Committee of working compliance officers, will present their winning practices to those in attendance. 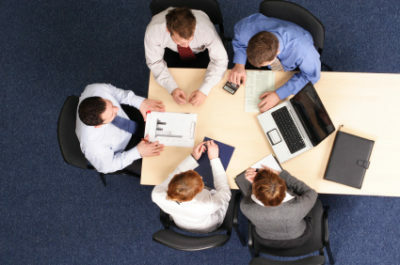 Best Practice presentations are supplemented by a distinguished faculty of government and sector compliance experts. 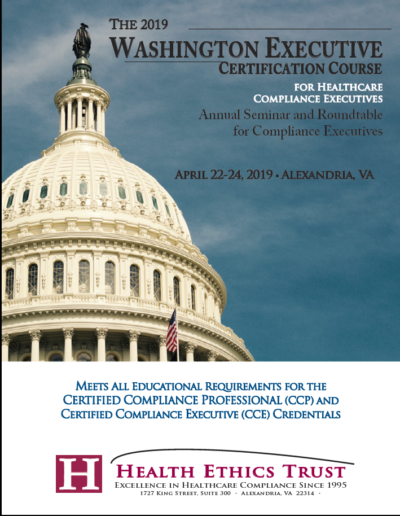 In addition, all compliance professionals who have achieved CCP or CCE certification or recertification will be recognized at the end of the first day. The Forum is also the venue where the Fellows of the Health Ethics Trust are announced. Registration for Health Ethics Trust courses is an agreement to pay the applicable course tuition. Tuition for cancellations prior to the cancellation deadline is refunded less an administrative fee to be determined. Tuition for cancellation after the cancellation deadline is not refunded, but a credit towards a future Trust program (tuition less the administrative fee; must be used within 12 months) will be issued in some cases. Those who cancel after the cancellation deadline must still pay the tuition that they agreed to pay by registering for the course even if they have not yet paid their tuition at the time of cancellation. Cancellation Policy is strictly enforced.